This is the listing of Malaysia events July to Dec 2016. The second half of the year include festivals such as Hari Raya, Durian Fair, Rainforest World Music and Malaysia Day coming your way. This is the time to head for Penang and enjoy the durian season at this time of the year. This fair will be held at at Nibong Tebal, Seberang Prai and markets in Penang. This event is organized by Penang Tourism Development & Culture Office. Join the celebration as Malaysian Muslim end their fasting month. Relatives and friends are invited to many open houses where they will be treated with various traditional food and delicacies. 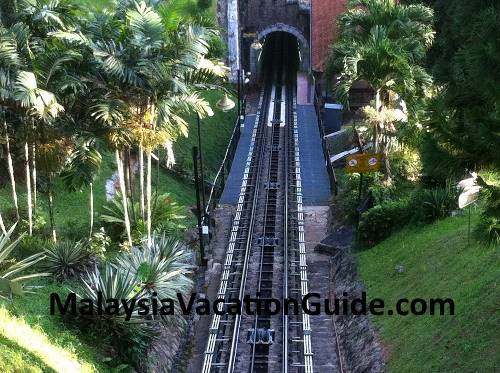 Head for Penang during this time of the year and enjoy the many events such as cultural and music shows, crafts and exhibits about the history of Penang. Organized by Sabah Cultural Board, this annual event will be held at National Department For Culture and Arts, Kota Kinabalu, Sabah. Held at the Esplanade at the Island, this month long festival will feature attractions such as dances, drama, art, music and fashion events. Visit Sarawak on the island of Borneo go to see the living museum known as Sarawak Cultural Village. Musicians from around the world will gather here to celebrate a fusion of nature, culture and ethnic music. If you have the time, head for Bako National Park near Kuching and you will not regret it. This event is held to honour the 2,400 heroes who died when they were forced to march from Sandakan to Ranau, a distance of 240km. This day commemorates Malaysia's 59th year of independence or 'Merdeka' in Malay Language. See the open air concert on the eve of Merdeka day on 30 August. The colourful parade will be held on the morning of the Merdeka Day. The Merdeka day celebration is held in every major city in Malaysia. Venue: Dataran Merdeka, Kuala Lumpur. Paddlers will be racing using their longboats in Kuching. Try to appreciate the colourful design and decoration of the longboats while you are here. Anglers will be competing for the biggest fish in this tropical rain forest of Rompin, Johor. This "catch and release" fishing event will have many international participants with attractive cash prizes to be won. This day commemorates Sabah and Sarawak joining Peninsular Malaysia as a nation of Malaysia. This is the 5th year where Malaysia Day will be celebrated in full scale and has been declared a public holiday throughout Malaysia. Come and join the Chinese in celebrating the moon cake festival. It will be held at Petaling Street, BB KLCC and Pavilion KL. See the many beautiful lanterns with unique design on display here. Organized by the Ministry of Tourism, this is one of the major tennis event in Malaysia. A few of the top 10 ranked players will be here for this event. Venue is at Putra Stadium, Bukit Jalil. This premier event is held in Sepang during the tropical heat of the day. Come and see the excitement and roaring sound of the world class cars from Ferari, BMW, Mercedes, etc. Held at Precinct 3, this is an event you would not want to miss as there will be many fascinating images being projected on the buildings in Putrajaya. This annual event by Ministry of Tourism and Culture features the various ethnic group delicacies of Malaysia. Street food and restaurant food will be featured extensively for you to savour. This event is one of "The World’s Toughest Mountain Race" where participants will scale 21km to the peak of Kinabalu mountain and descend in 3 hours. Remember to visit Poring Hot Spring and Kinabalu National Park if you have the time to spare. Venue is at Kundasang, Sabah. This premier event for motor bikers attract top racers from around the world. If you are into this, head for Sepang International Circuit during this time of the year. The triumph of good over evil is celebrated by Hindus on the seventh month of the Hindu calendar. Look out for the many open houses announcement at the local newspaper during this time. This triathlon event features many of the top athletes from all over the world to compete in swimming, cycling and running. Come and see who is the best in this highly competitive endurance race of the year. 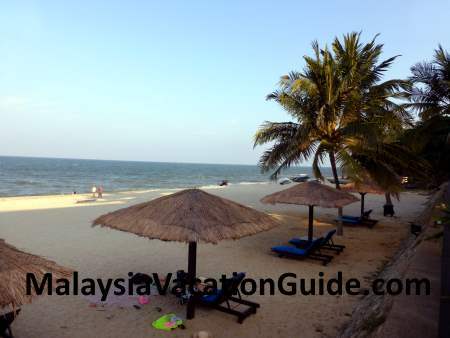 Venue is Langkawi, Kedah. This annual event will be held at Royal Selangor Yacht Club, Port Klang and is organized by Royal Selangor Yacht Club. Join Penang marathon run of the year. Both amateur and professional runners are welcome to join this event. Register early as over 30,000 runners are expected to be here. The Malaysia Year End Sale offers great discounts and bargains on a wide variety of merchandise. This is the time for the ultimate shopping indulgence. Head for the many shopping complexes in the city and you will not regret it. This Monsoon Cup is a part of the prestigious Swedish Match Tour. Take the opportunity to visit the many beautiful beaches here. Held at Putrajaya International Convention Centre, this year's theme is "Glorious Textiles of the Islamic World". Held at Bayview Beach Resort, Penang, this annual event features jazzy music and is on from 10am to 11pm. Join the Malaysian Christians as they celebrate the birth of Jesus Christ. See the listing of events from Jan to June 2016.